In this article, I provide some photography tips and show you how I create my low light photos with very little financial investment. Even if you are a beginner, you can create these types of shadowy pictures. I’ll explain the lighting gear you need, but you’ll also want a camera that can shoot in manual mode (which is pretty much every DLSR these days). Let’s get to it! To see my photography, check out my @fromtherooftops_photography page on Instagram. This is low-key photography. It takes on the look of an underexposed photo or night photography. It is a style that is all about lighting and shadows. But, in low-key photography, it is intentionally underexposed for dramatic effect. You see this lighting style in portrait photography, street photography, landscape photography, and so on. This style works because the shadows wrap around the subject. It is very abstract. Just the way I like it! But here is my original image. It’s not nearly as abstract as my final photo. For this style, it’s as much about the setup and composition as the final editing. That quote is often attributed to Ansel Adams. It’s definitely the way I approach photography. As I’m composing the shot, I’m thinking about the end result. Photography is inherently an abstract art. Your eye is different than others’ eyes. Your lens will abstract the image. Your camera technology will abstract the image. Even if you’re shooting with film, there's a huge abstraction. In my book, there’s no issue with further abstraction through Photoshop. It’s a chance to use our imagination. When Taylor arrived for this photoshoot with this flowy dress, the first thing I noticed was the wavy, fluid nature of the outfit. I find one of the best ways to enhance the lines of a photo is with shadows. I knew that I wanted the light to naturally dissipate behind her. I already knew it would be black on the right side, so I didn’t even worry about getting the whole dress in the frame (thus excluding a helper who was holding an electric fan, adding some body to Taylor’s hair). A great light source is crucial. 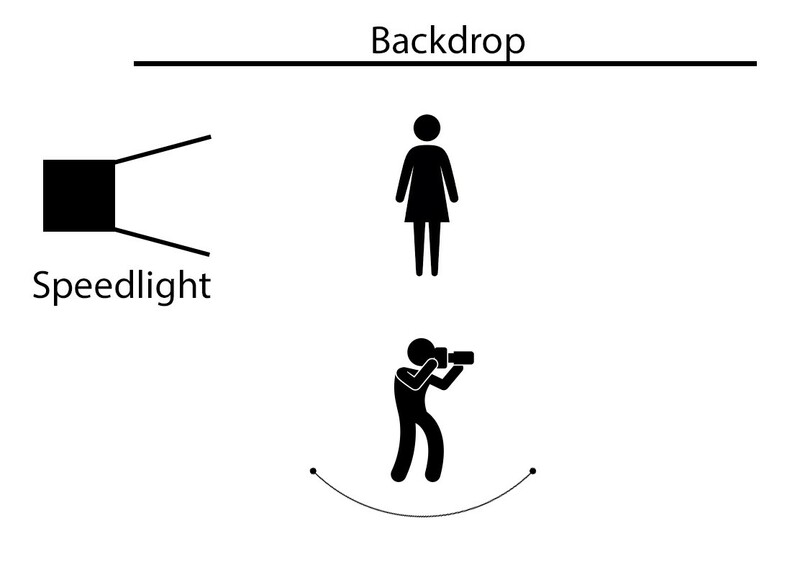 In flash photography, we are usually trying to hide the shadows. However, in low-key lighting, we’re trying to create curved shadows. I like to keep my dramatic lighting very simple. Photographers sometimes collect all types of different lighting rigs. But many tend to widdle down to just a few personal favorites. While I do own a couple of powerful strobes and continuous lights, it’s a simple speedlight setup that usually works wonders. This image used two speedlights with these gels wrapped around the bulb end to create the colored shadow. 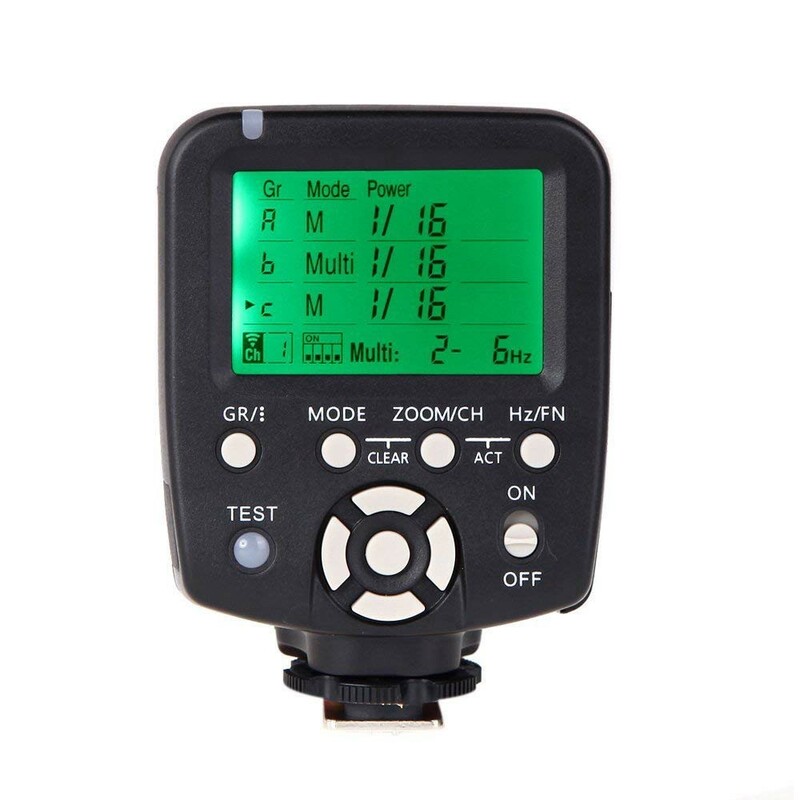 You will want to buy a wireless control to plug into the hot shoe of your camera. 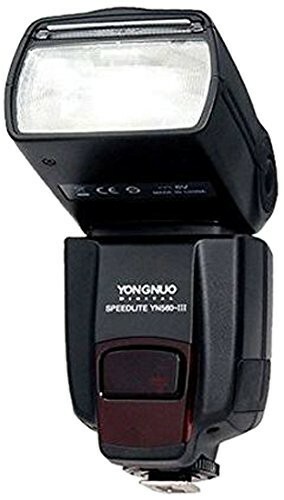 This allows the speedlight to fire remotely and perfectly in sync. I find it to be much less restrictive than having a cable tethering your camera to your speedlight. This is the wireless flash controller I own ($35). It easily allows me to control the power of the speedlight(s) with the LED screen. Attach this to your camera, and you should be ready to go. A black backdrop is another important component to these low-key photos. Sure, you can use a black wall if you’re lucky to have one in your studio. But a cheap black bed sheet works just fine. Or for $15, you can pick up a muslin photo backdrop. Muslin works great because it’s lightweight cotton. Tack it up to the wall or buy a simple stand. Here is the portable stand I own — it’s only $35. So far your total cost is $100. You can spend more on brand names, but you certainly don’t have to. 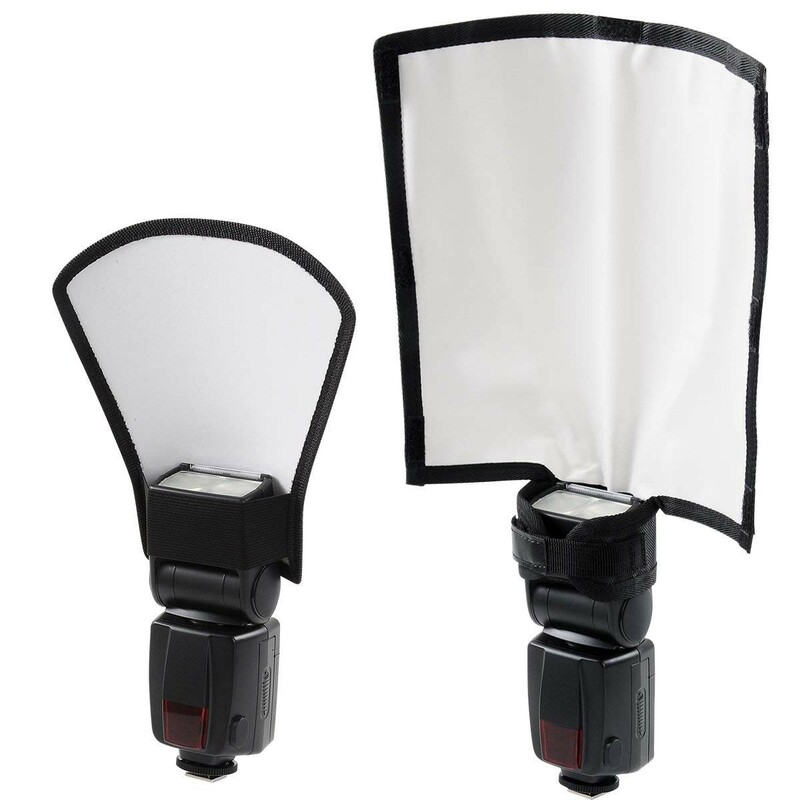 You could pick up a speedlight reflector. This is something I definitely recommend, as it helps you get really creative with your light control for virtually no money. With this, you can create sharp cuts in your shadows like a crescent moon. Very cool. Some people like to shoot low-key photos in the dark with a modeling light to show where the lights will ultimately be when the flash fires. I prefer to shoot in low ambient/available light (like my image above). To compensate and make it look like a darker and shadowy image, I set my camera to allow less light in. Usually an F-stop of 9, a shutter of 1/100 and an ISO of 100 works just fine. It’s a bit of a camera trick, but the shadows form just the same. The light from the speedlight is so bright that only the hottest spots get through. As the light stretches, less of it gets into the camera — thus creating shadows. In this case, the speedlight was directly in front of my model. You can see the hottest spot hits her right in the stomach. Also, some of the backdrop shows as well. But I wasn’t concerned. It can all be easily fixed in Photoshop (or your image editor of choice). With your model in their spot and your light where you like it, now it’s your job to pivot and find the best shot! Once you have the shot you want, it’s time to fire up your image editor. A note about post-production. Some photographers don’t do much in post. 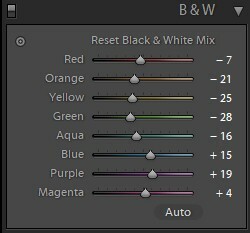 Every photographer has a different view on how much post-production should be done. You can certainly get great images without any post-production. For example, this low-key shot was taken right from the camera. But 8 times out of 10, I lean heavily on an image editor to give me that subtle control that can make a good photo great. 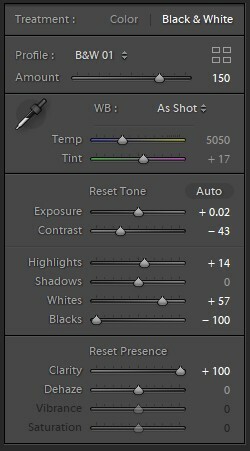 I tend to start all my edits in Adobe Lightroom, then move them over into Adobe Photoshop. 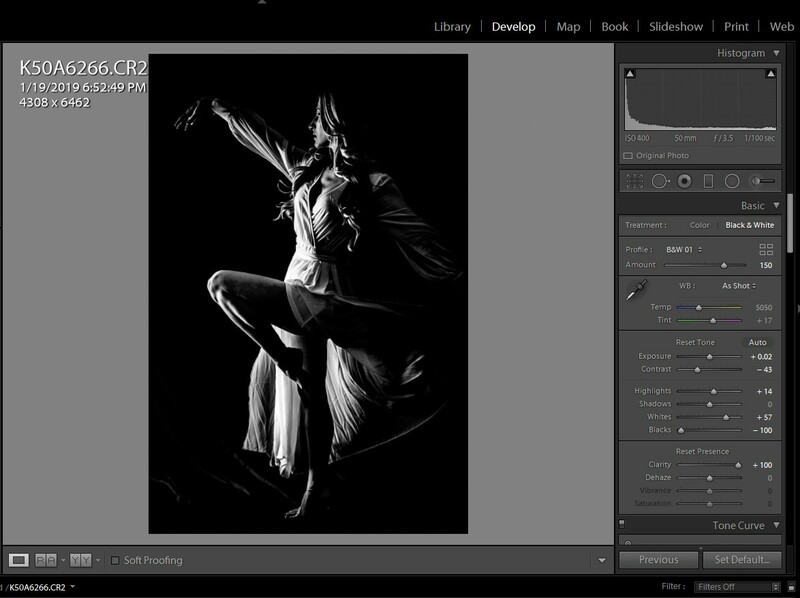 Lightroom is an application that allows you to catalog all your images. And, it has powerful image editing controls. It’s not quite as robust as Photoshop, but it’s a great place to start. I converted the color image into black and white. I brought the blacks way down and pushed the whites up. This created a really harsh (but beautiful) result. Then for fine-tuning, I adjust the contrast and highlights to taste. For my personal workflow, I’ll then take this image into Photoshop so I can remove any blemishes (with the clone or healing stamp), or slightly bend any lines I think can be more attractive (with the Liquify tool). Usually, the work I do in Photoshop is very, very subtle. I hope you found this useful. The rest is up to you — it’s pure experimentation. But the results are often very good. This type of shadow photography can create amazing visuals, but it can also create a lot of duds until you get better at understanding how lights will bounce. Don’t let that discourage you. Practice, practice, practice. Once you get the hang of it, you can actually do this with natural light on harsh sunny days. My first ever low-key photo! I’m a human in progress. These are my personal thoughts and don’t reflect anyone (or anything) other than me.